When I was a kid and then well into adulthood my big sister, Alix, and I had two movies we could watch millions of times over and not get sick of them. One, Hercules. Two, Mulan. While both of these movies basically had their VHS tapes worked to the death, I would say that, if Alix and I had to pick a favorite, it would be Mulan, and Mushu’s one-liners definitely influence that decision. I’m interested to see how Mushu will function within the live-action remake of Mulan, or if they’ll swap out his character for something else. I hope that’s not the case because I love me some Mushu! Let’s be honest, Mulan is a movie that has it all. I know everyone makes a big deal about Frozen being this whole “woman power” sort of movie, but how could we forget that Mulan is basically the ultimate Disney princess? She didn’t just avoid the role as the damsel in distress, she freaking saved China! SHE SAVED CHINA, PEOPLE. Elsa is cool and all, but Mulan disarmed a mass murderer with a fan. And she did all of this in a culture steeped in patriarchy. Yep, she’s the best. Of course, her not-a-lizard sidekick can’t be ignored. Mushu isn’t just some cutesy animal thrown in for the adorable factor. Rather, he’s a flawed character with his own arc to redemption. He’s a dragon with something that he has to prove, that he’s more than the gong ringer role he’s been forced into. Much like Mulan, Mushu is a reflection of the desire we all have to be more than what society tells we are capable of. Considering this is a Disney movie, that’s a big message to throw out there, but it’s what makes Mulan great to this day–the message is timeless. Beyond the deeper side of Mulan, it also has some incredibly timed and well-crafted humor, especially when it comes to Mushu. Oh my crap, he has some great lines in the film! I mean, come on–“I’m doomed! And all ’cause Miss Man decides to take her little drag show on the road.” Guys, Olaf can’t hold a candle to Mushu’s oh-so-snarky commentary and unfounded self-confidence. Of course, considering the fact that I’ve seen the movie so many times, my love for Mulan and Mushu’s humor found its way into Nerd Love Shop. 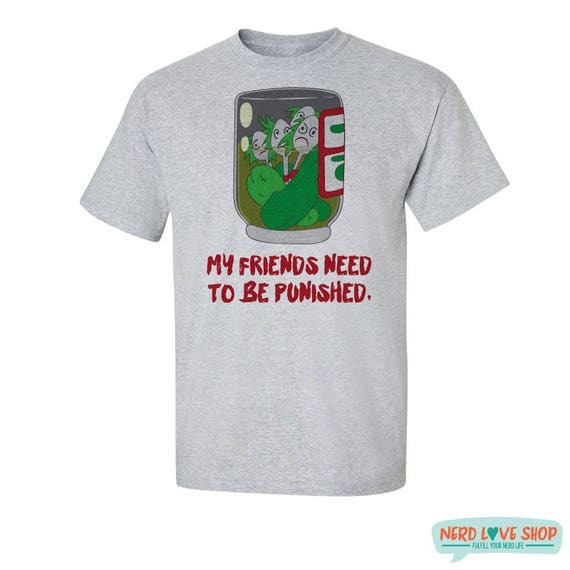 We actually have two designs inspired by Mushu’s antics in the film, and let me just say I freaking love these shirts. I’m happy to report that it seems like other people do, too, as both designs have seen their fair share of owners! This part of the movie is just magical. It had to be on a shirt. Available in adult unisex and women’s fitted sizing at Nerd Love Shop. Find it in Nerd Love Shop, also available in adult unisex and women’s fitted sizes!